អបអសាទរ ពិធីបុណ្យអុំទូក បណ្តែតប្រទីប សំពះព្រះខែ និងអកអំបុក | SOMA Construction & Development Co., Ltd. 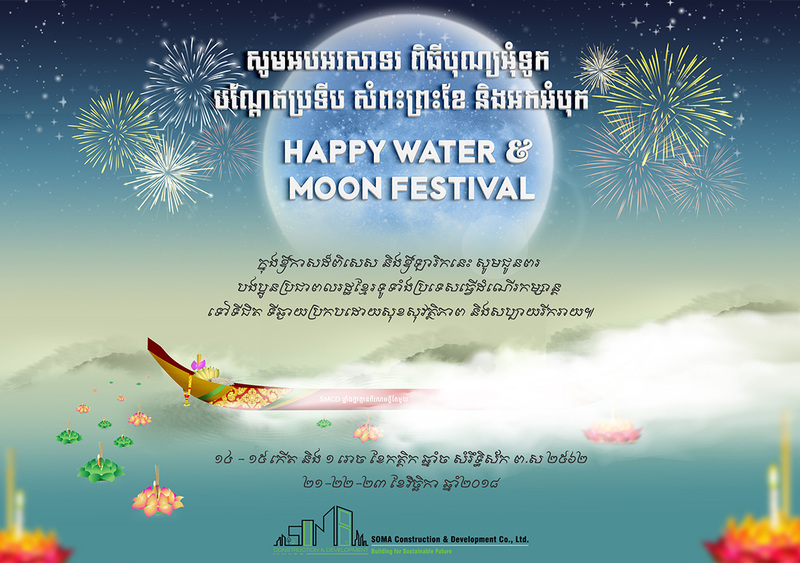 Happy Water & Moon Festival ! In this precious occasion, SMCD Family would like to send all the best wishes to all Cambodian people to travel safely and joyful.